I’ve been pondering a new approach to my training for a few years now. When it comes to my personal fitness, I’ve been a “one trick pony” for the past decade or so. It wouldn’t be much of an overstatement to say in the past four years my only training target has been maximal strength, with a secondary emphasis on body composition. Balance strength and endurance for life-long fitness. 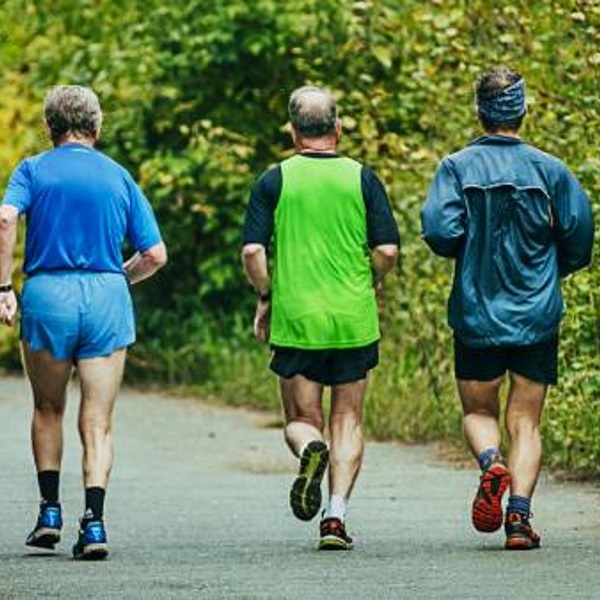 “…as athletes age, they should return to more generalized training for the sake of optimal health and functioning in their later years. For example, let’s imagine today I go out and run a mile for time. Say it takes me 18 minutes. If that were the case (God I hope it isn’t), I think we could all agree it would be unacceptable, even for someone who specializes in powerlifting. It would be unacceptable because at age 56, I might not ever be able to restore that lost capacity. If you run an 18-minute mile at age 26, you can probably improve that to something like a 12-minute mile in a few months of regular training. But at age 56, not so much. This same logic can and should be applied to other fitness capacities such as mobility, which will be another primary training target for me. I think of this approach as the hourglass model. It’s commonly accepted that young athletes’ training should be general and diversified. Then, in their late teens and early twenties, they begin to specialize in their chosen sport. The hourglass model I’m positing here further suggests that as athletes age, they should return to more generalized training for the sake of optimal health and functioning in their later years.